Virginia "Ginger" Butler Natolis, 90, of Marietta, OH passed away peacefully in her sleep on Saturday, Mach 30, 2019 at Elmcroft of Marietta. She was born on November 10, 1928 in Jacksonville, FL to the late Charles Thomas and Pearl Garrison Butler. She grew up in Jacksonville and was a teenager during World War II. She graduated from Julia Landon Jr-Sr High School in 1946. She then enrolled at Rollins College in Winter Park, FL, from which she graduated with honors as an Algernon Sydney Sullivan Scholar in 1950. At Rollins, Ginger was president of the Upsilon Beta chapter of the Chi Omega sorority and captain of the varsity cheerleaders. She was elected to the Order of Libra, a leadership honorary and Key Society, an academic honorary. At Rollins she met her future husband, Francis Joseph Natolis. They were married August 28, 1953, upon his discharge from the U.S. Navy. She worked in finance and public relations for various large corporations such a DuPont, Goodyear and SOHIO, during her husband's medical training. She was preceded in death by her parents; a brother, Charles Thomas Butler, Jr.; husband, Dr. Francis J. Natolis and her beloved poodle, Mister Touche of Gingermere (Tou-Tou) as well as her kitties, Lucky, Oreo, Billy Bob and Bo. She is survived by a brother, Thomas Gordon Butler (Jane); a niece, Whitney Butler Kantor; two great nieces, Kaleigh Butler Kantor and Elizabeth Brooke Kantor, all of Jacksonville, FL. She is also survived by Calvin F. Huck, Carol Huck, Rachel Miller (Pat), Jessica Strickler (Jeff), Jared Huck (Melissa), and Lora Witten (Tom), as well as Calvin and Carol's ten grandchildren. She is also survived by Joseph A. Roby, as well as many other special friends in many places. She also leaves her beloved kitties, Misty and Yoda. She and her husband came to Marietta in 1967 where he practiced general surgery and family medicine. Ginger managed his office. 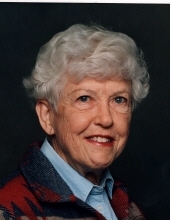 She became active in the American Association of University Women, serving on their board, the League of Women Voters, Hill & Dale Garden Club and was a trustee of the Chi Omega Sorority house at Marietta College. She and her husband had an interest in preserving historical buildings and rescued and early barn and then a federal brick house (1815-1835), both of which they spent many years moving and rebuilding on their Oak Grove property. Joe Roby was an important part of this undertaking. In 1974 they bough a farm in Waterford, despite never having been on a farm before. Being complete strangers to farming, they were rescued by Calvin F. Huck. They selected Murray Grey Beef Cattle from Australia. She attended many extension courses pertaining to various aspects of raising cattle. Ginger served two terms on the board of the Washington County Farm Bureau and was inducted into their Hall of Fame of 2006. She was a member of the American Murray Grey Association and the 2013 National Show was dedicated to her. She was on the AMGA National Board for 9 years and traveled throughout the US and into Canada to show the Murray Grey Cattle she loved, winning boxes full of trophies and rosettes. She was a member of the Australian Murray Grey Beef Cattle Society for years and spent a month Down Under visiting studs and learning genetics to bring back to the Waterford farm. Ginger belonged to the Ohio Cattlemen's Association and was named a Friend of the Ohio Beef Expo in 2014. She was a member of the Marietta Antiques Club and really enjoyed friends there. She was a Southern Presbyterian by faith, and always proud to be a Southerner, but loved Marietta and Southern Ohio and became a staunch Buckeye fan. Ginger was a "people person" who enjoyed interacting with friends and strangers alike. She requested cremation with ashes interred in the family cemetery on their Oak Grove property. In lieu of flowers, memorial donations may be made to the Humane Society of the Ohio Valley, 90 Mount Tom Road, Marietta, OH 45750; the Oak Grove Volunteer Fire Department, 102 Oak Grove Lane, Marietta, OH 45750 or a charity of donor's choice. To send flowers or a remembrance gift to the family of Virginia P. Natolis, please visit our Tribute Store. "Email Address" would like to share the life celebration of Virginia P. Natolis. Click on the "link" to go to share a favorite memory or leave a condolence message for the family.